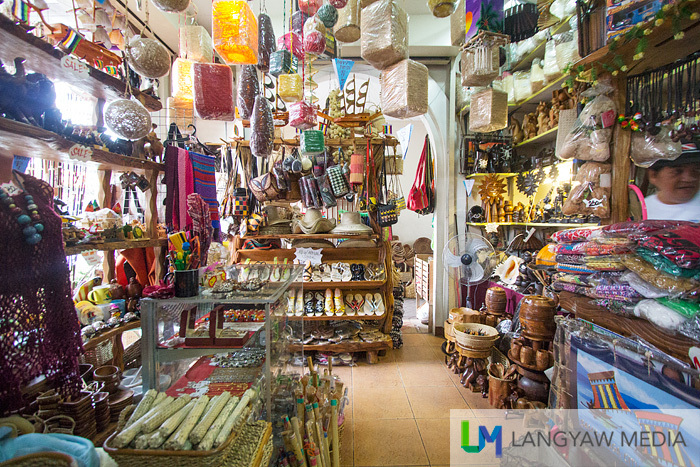 The Yakan Weaving Center not only showcases traditional Yakan weaving and other crafts, it also offers textiles and trinkets from other Mindanao Muslim tribes as well. 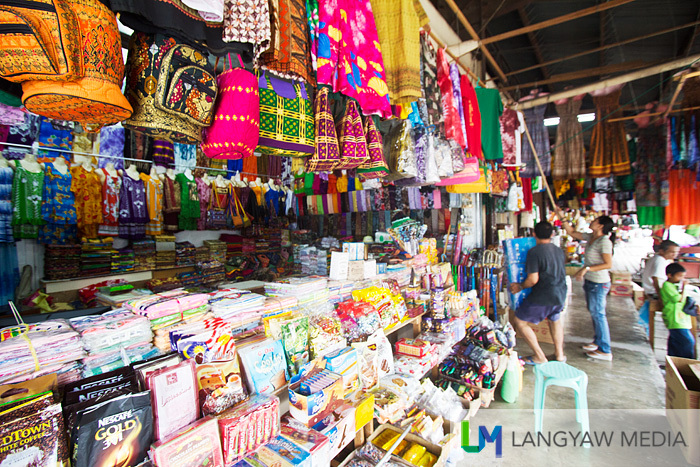 A popular tourist shopping area, the Yakan weaving center showcases Basilan’s indigenous tribe, the Yakan, with their wonderful weaving tradition which is marked by geometrical shapes and linear multicolored patterns. Woven textiles are also made into functional items like bags, wallets and table runners. 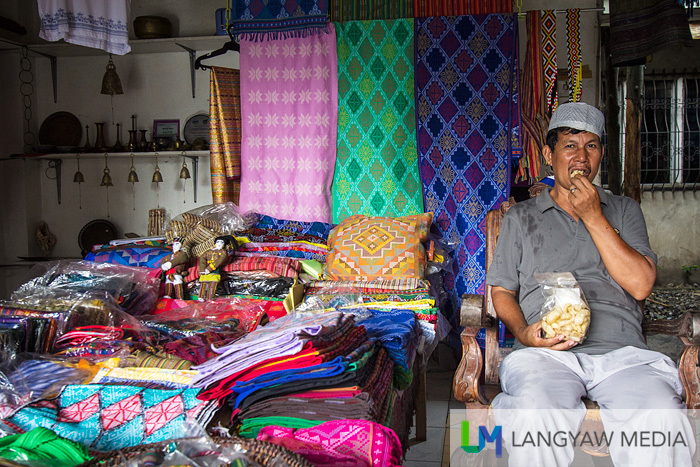 There are also Maranao and Tausug handicrafts. GETTING THERE: The Yakan Weaving Cente is quite accessible and closer to the city center compared to the Ayuda Badjao Project. You can take a tricycle (do haggle or ask how much first before taking a ride as it’s one of the placees in the Philippines that have high tricycle fare rates) or a jeepney (from Pueblo). 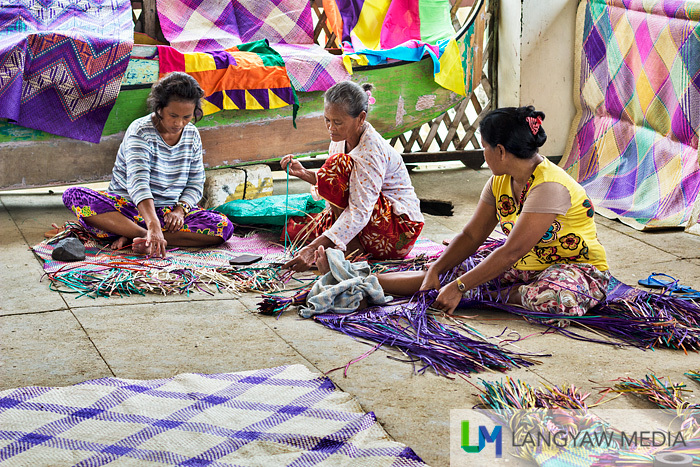 The Badjaos are known for their ‘tepo,’ mats made from strips of pandan that are dyed and woven into beautiful geometric patterns in various colors. Although the best weavers are in Tawitawi, the Badjao community in Caragasan, Zamboanga City also produce interesting mats. A visit at their center may find weavers in action. GETTING THERE: From the Pueblo or city center of Zamboanga City, ride a jeep going to Maasin and tell the driver to drop you off at the Ayuda Badjao Project center just along the highway. 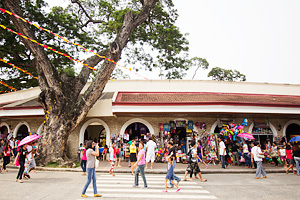 Unlike the barter centers, Plaza del Pilar shops cater to tourists with their souvenir items like the usual key chains, ref magnets and other Filipino handicrafts and products. There are also Zamboanga shirts on sale as well as local delicacies like the tinagtag. Just across Fort Pilar, it can get festive during weekends. The place is not only for souvenir shops but across these are eateries. Century old acacia trees, especially protected by the local government, make the place interesting too. GETTING THERE: Plaza del Pilar is just opposite popular Fort Pilar and Paseo del Mar, near Lantaka Hotel. 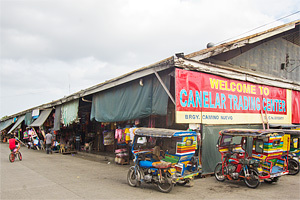 Zamboanga City is known for its barter trade centers of which the one in Canelar is the most popular. Products mostly from Malaysia and Indonesia like batik textiles, malongs, scarves, bags and food products like Maggi kari noodles, chocolates, wafers, coffee to soaps and toiletries, all from these two countries. GETTING THERE: From the airport, you can ride a Canelar jeepney. Just tell the driver to drop you off the corner going to the barter trade center along Climaco Ave. You can also take a tricycle but minimum payment is P30.